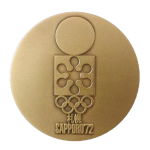 Participation Medals are given to all athletes and officials who participate in the Olympics. These medals have been a part of the games since the first modern Olympics in 1896 and continue to this day. 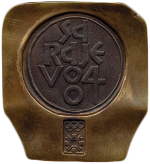 They feature artwork and shapes uniquely designed for each Olympics and can be made of many different types of metal from bronze, copper, pewter, as well as others. I’m working hard to complete my collection of Participation medals so if you have one you would like to sell then please Contact me and let me give you an offer for yours.